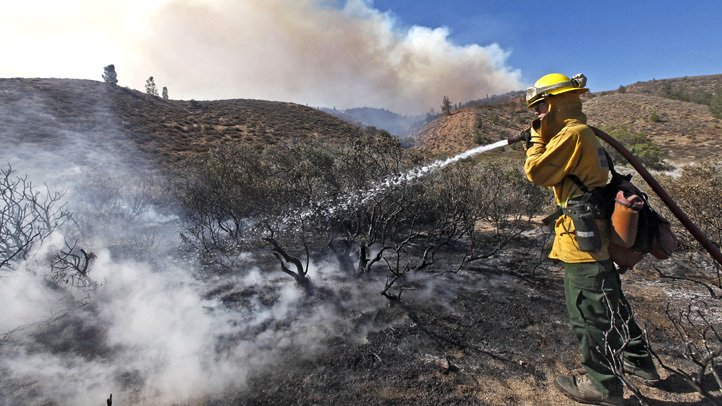 Monterey County may be impacted by smoke for several days. Monterey County health officials have issued an air health alert because of wildfire smoke. The alert was issued Sunday afternoon and posted on the county health department's website. Health officials said because of projected winds the county may be impacted by smoke for several days. The officials said they are urging residents with heart or lung disease and seniors and families with children to consider staying indoors if they have an air conditioner or air filtration system. Keep the fresh air intake closed and the filters clean when running the air conditioner, health officials said. Residents without an air conditioner may be better off seeking some other shelter than their home if the weather is hot, the officials said. The officials also said a swamp cooler will hinder efforts at keeping the air clean because it will draw smoky air into the home. Health officials are urging residents to avoid burning anything, including candles, while smoke levels are high. Also, don't vacuum and don't smoke, the officials said. Health officials are asking residents with asthma or another lung disease to follow their doctor's directions regarding medications and their asthma management plan. Smoke is a mixture of gases and fine particles and the biggest health threat is from the fine particles, health officials said.